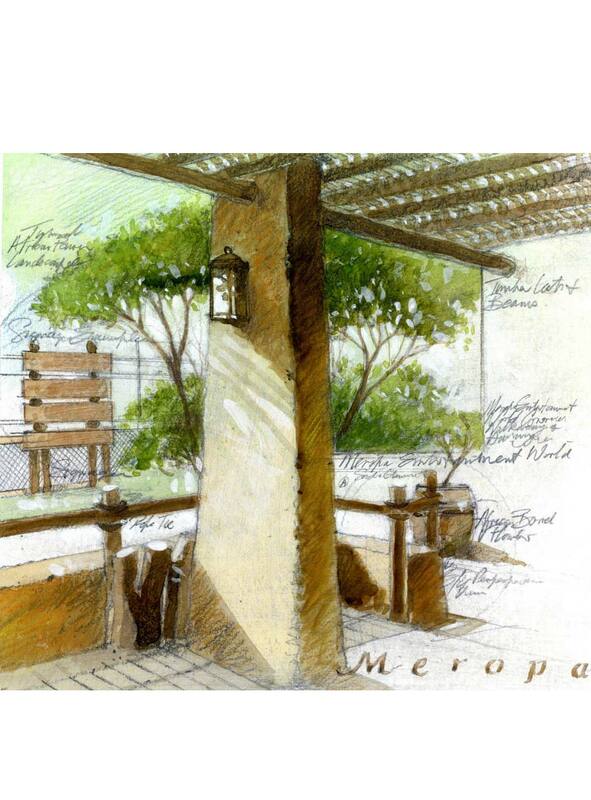 The distinctive North African style of Meropa Entertainment World, with its adobe structures, rough plaster, thick walls and lathe roof covers, transports the visitor into an Arabic-African utopia. The central focus of the complex is a circular water feature, out of which five bronze drummers rise ceremoniously. 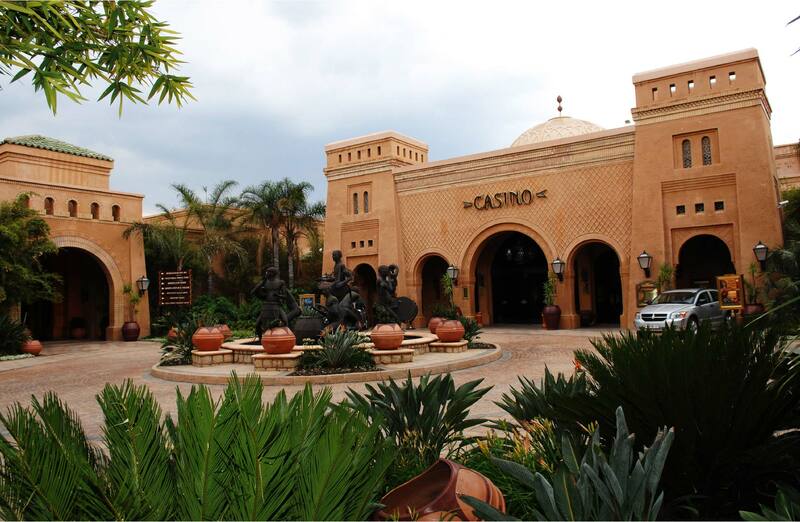 This striking feature is organically demarcated by terracotta pots extending the Arabic-African theme throughout. 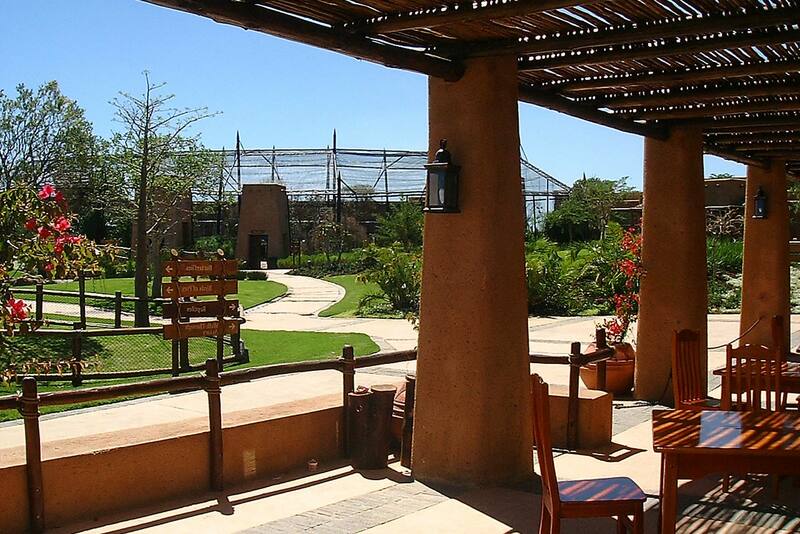 The Wild Thingz bird and reptile park, designed by Landmark Studios, adds interest to the exotic, desert-style ambience.